A heartstopping, poignant, epic adventure story about a boy destined to live forever, who only wants to grow up. Without death, life is just existence. Have you ever wondered what it would be like to live forever? Well, Alfie Monk can tell you. 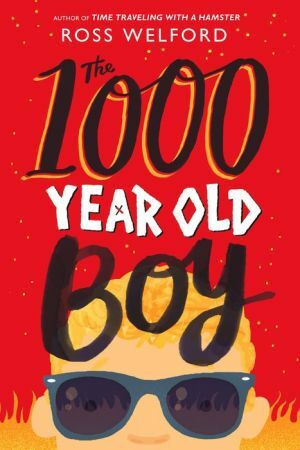 He may seem like an ordinary eleven-year-old boy, but he's actually more than a thousand years old--and remembers the last Viking invasion of England, not to mention the French Revolution and both World Wars. Way back in the tenth century, he and his mother were given the alchemical secret to eternal life. But when everything Alfie knows is destroyed in a fire, and the modern world intrudes, he must embark on a mission--along with friends Aidan and Roxy--to find a way to reverse the process and grow up like a regular boy. This astonishing new novel from the author of Time Traveling with a Hamster, told in alternating perspectives by Alfie and Aidan, is a tour de force--a sweeping epic that takes you on an unforgettable, breathtaking adventure and asks big questions about the meaning of life.